When you have done so much right for so long, to the point that very little needs to be changed, the paradox of your success is that what you offer risks becoming stale. For years, MLB The Show has been one of the most universally acclaimed video games, regardless of genre, and its improvements — while observable — sometimes feel like a world-class sprinter shaving hundredths of a second off his winning time. 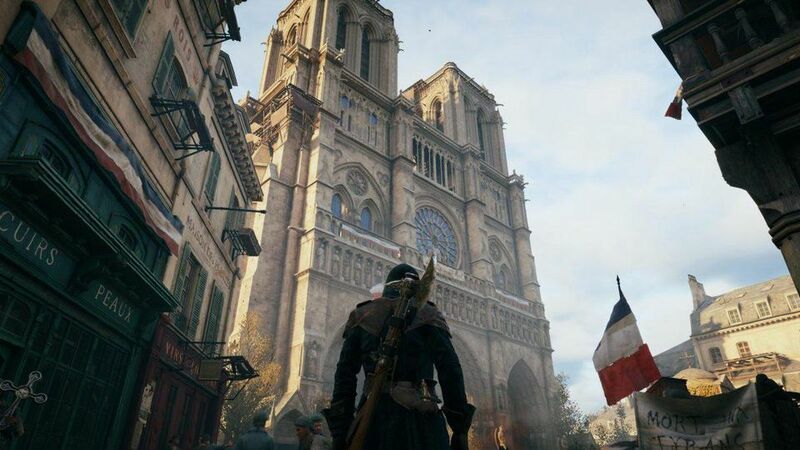 Every video game should be so lucky. But as an annual release, sports video games also reflect the leagues they simulate: The present matters most. The future is either a promise or an excuse. And what you did in the past is worthless. Even a repeat champion like The Show is held to the same standard. MLB 12 The Show answers the challenge with a new custom-team mode called Diamond Dynasty, another modification to its pitching and batting controls, and a slew of other upgrades that are more subtle but apply a nice shine to an already highly polished product. Are these features, plus the best-in-class reputation in carries, worthy of another US$60? Again, this is my review, and I do things differently. I go through 10 features of the game in ascending order of the enjoyment they delivered. The stuff you read first is the negative, the stuff you read last is the positive — but this format allows for the fact that some things I disliked may be qualities that others value. 10. Online play is still powered by MySpace servers, apparently: I have given up on online multiplayer in baseball and, evidently everyone else has too. If hitting is the art of timing, and pitching is the art of destroying that timing, then the constant lag you face is Sandy Freaking Koufax. It may be that because of the limits and variables in current technology, baseball is impossible to play on an enjoyable level in online multiplayer. While consistently the worst aspect of a brilliant product, online support bears watching this year because of how it affects Diamond Dynasty, where connection issues in release week brought complaints that results weren't being recorded. I wouldn't buy this game for online multiplayer but then, I don't think anyone buys a baseball game for online multiplayer any more. If there's good news here, it's that signing in is automatic. 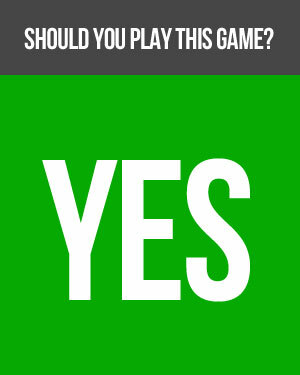 WHY: Because it is the finest baseball video game ever made and one of the best titles, across all genres, available on the PlayStation 3. What I played: An entire Road to the Show season (and a few games in another one as a hitter/outfielder) and about 8 games in Season Mode. Dabbled with the Move support, played a game in Diamond Dynasty and spent about 90 minutes fooling with lineups and uniform options. By far the best visuals of any sports video game, period. Comprehensively offers everything a baseball fan could want. Online play still plagued by lag. Core modes like Road to the Show and Franchise/Season aren't differentiated enough from previous versions of the game. 9. Outdated Playoffs: While it's a shortcoming, I can't really fault Sony San Diego for not having a new format that was decided by Major League Baseball only a week ago. The game's postseason presentation is loads better than MLB 2K12's but your pennant race will play out for the wild card or division under the old format. That puts a big dent in your fantasy of the Cubs winning it all, if they do it within an obsolete tournament. It would have been nice if this had been accommodated under custom postseason settings, but the game would have been left holding the bag if MLB backed off the extra round this year. MLB 2K12 gambled and won, MLB 12 The Show, which prides itself on authenticity, gambled and lost. 8. Long loading times: You're given the option of installing an extra 5GB of data (so, a 10GB installation) but I honestly noticed very little difference in loading time between this and the old installation from MLB 11 The Show. Road to the Show games still take a solid 30 seconds to load, long enough to seem like it's taking forever, too short to go get a drink or take a leak. It's the price you pay for such rich content, like it or not. 7. Commentary Needs More Attention: Again, I've got no complaint with Matt Vasgersian or Dave Campbell. I think their presence and tone adds heft that a knowledgeable fan can appreciate. (Eric Karros is in over his head, and just does a bad acting job as himself.) I just wish Vasgersian and Campbell were given greater variety in their lines or that the banter went a little deeper than just reacting to what they see. Campbell seems prone to go on about a certain pitch choice (or decision not to swing) early in an at-bat when such things are hardly consequential. 6. It's Got Some Gimmicks: I put these here because while they don't really add to my enjoyment of MLB 12 The Show, they don't really detract from it either. Or in some cases, I simply lack the technology to see how they work. If you have a 3D TV and two pairs of glasses, you and a friend can play through SimulView, not split-screen. The game is now fully controllable through PlayStation Move (last year it was the home run derby only) and I fooled around with that some but I really have no desire to play any simulation sport with motion control. The PS Vita integration seems useful; I don't have a Vita, though, so I can't judge whether this game really is as fun when you're taking it to go. 5. Diamond Dynasty This is going to take a lot more time than I had this week to fully appreciate what is being offered. For the best description of what it does, read this feature. I can verify Diamond Dynasty delivers as advertised. Its problem is that it doesn't provide much hand-holding, just giving you an introduction movie. You'll see this in the beginning, there is really no quick way to set up even a minimalist uniform if you're more interested in taking the field than designing clothes. Secondly, I played my first game with no major leaguers in my lineup because I didn't know to go buy a pack of cards. I don't know why the game doesn't just start you out with opening a pack and seeing who you got and then getting into player management. I simply haven't had as much hands-on time with this as I'd like. It's a high value mode but you're expected to discover how it works largely by yourself. 4. Like a Great Umpire, It's the Things You Don't Notice: My review guide called out new "True Ball Physics" and I think I know why. Because so much of The Show already looks like an actual broadcast, the fact the ball behaves more like reality may get overlooked. To really see it, pick an outfielder in Road to the Show, the career mode, and try to corral one of those dipping, knee-buckling line drives. RTTS fielding and taking a good route to the ball is hard enough already, but in a full game you'll see the ball pop into the air after it thwacks a base or the pitching rubber and stop dead off the wall on a gap double. It cuts down on cheap hits and cheap outs equally. 3. A Difficult And Deep Game Made Manageable: I don't think I've ever given MLB The Show enough credit for this, but the manner in which you can customise your control set, and even take it into online play, makes an intimidatingly deep game into an accessible one. Video game baseball, when the ball is in play, borders on information overload, especially the schizophrenic act of baserunning with multiple runners. You can ramp up the difficulty of the pitching if you're really good at that, and automate the baserunning — which I do, because I largely play station-to-station baseball otherwise. You can give yourself easier hitting difficulty while you try out the new analogue controls (don't care for 'em, but hitting isn't my bag.) You could automate everything except for the pitching and essentially turn your Franchise or Season mode into an uber-Road to the Show starring your pitching staff. The mix-and-match control sets do what a sports video game should do: Minimise your weaknesses, challenge your strengths, and keep everything fun. 2. Pulse Pitching: As I've said, pitching is my favourite aspect of video game baseball, and to this, MLB 12 The Show has added another control scheme. This is starting to get a little irritating, because we've gone from meter to analogue and now to this, which is sort of like a meter. You'll be given a rapidly expanding and contracting circle whose size and speed is affected by the player's rating for that pitch. The idea is to position the circle over the part of the strike zone you want to hit and stop it at its smallest size. Missing it on the first two pulses, I found myself really concentrating, which is what a pitcher has to do, right? Goofs will happen, but they happen organically; I never felt like pulse pitching was screwing me over. It was hard for me to tell if the circle represents the break point or the destination of the pitch, as I had some curveballs go nowhere near where I thought it would. But pitching effectively with pulse is easier to grasp than last year's analogue, though it still returns. 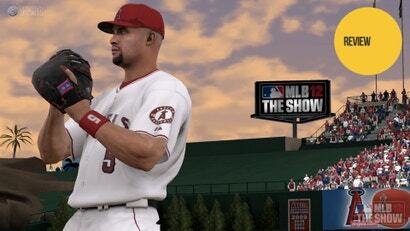 I still prefer MLB 2K12's gesture system, which is now in its fourth year. 1. 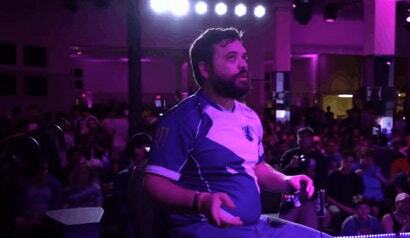 It Just Looks Amazing: Seriously, just watch this video. It looks like the game of the week on my television. You can't tell but I am buttoning through to the next pitch, but it cues up a new camera angle showing another player between the play, whether it's the batter returning to the dugout, or a fielder winging the ball to a teammate. Making this so take-it-for-granted seamless took a load of animations to smooth out runners and fielders popping from one behaviour to another. It's like The Show is telling you to savour its best quality: The staggeringly lifelike visuals that form the spine of one of the richest sports fantasies video gaming can offer. Baseball fans are a diverse constituency, but if they have a common trait, they're very hard to please. While MLB 12 The Show tosses a staggering amount of content at you, and some familiarity with the series certainly helps navigate it all, there are few stories in baseball that you can't live out here, in beautiful, cinematic quality. There's a reason the video of the Chicago Cubs winning the World Series tugs even at those who aren't fans of the Cubs. 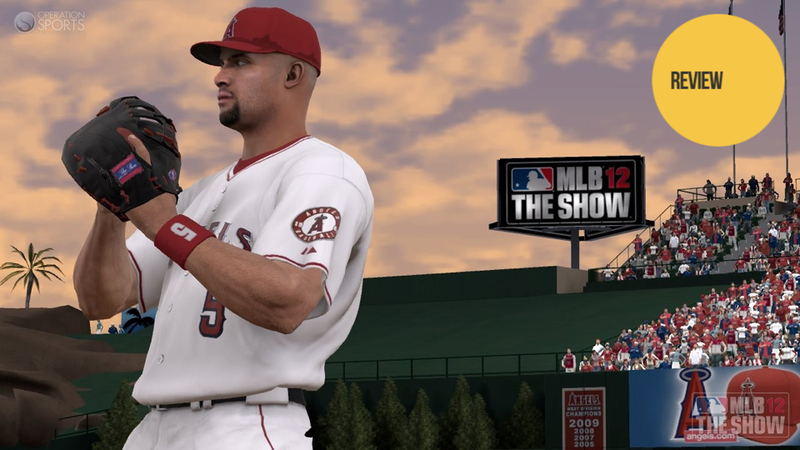 MLB 12 The Show's sworn commitment to realism and simulation quality gives an emotional legitimacy to the events that happen in your PlayStation 3. It's provided me some of my most memorable and enjoyable moments in all of video gaming, and will do so again this spring.